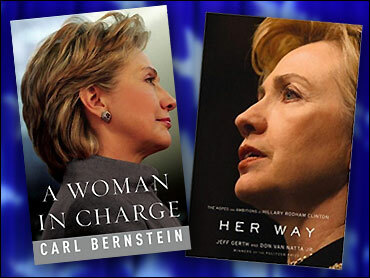 There are two new books out this week about Hillary Clinton. I've been reading reviews and excerpts from both, and I'm still looking for the big revelation, the final insight into who she really is. Carl Bernstein's book, "A Woman In Charge," does provide some news, at least news to me, that Gov. Bill Clinton wanted a divorce from Hillary because of his love for another woman. She refused to grant it to him. Bernstein makes note that she knew he was no angel when she decided to marry him. Does this make Hillary Clinton an old-fashioned gal, a woman who would — to steal the phrase she stole from Tammy Wynette — stand by her man? Or is she a prototype, a post-modern woman whose purpose for marriage reached far beyond the norm? No person running for president has endured the kind of public scrutiny Mrs. Clinton has. Now we have a thousand new pages to pore over by three of the best reporters of our time. I wonder: If you read them all, would you change your opinion?